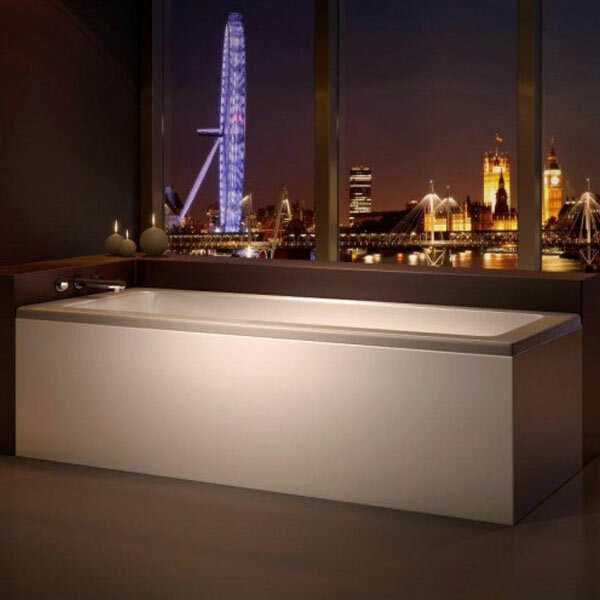 Are you short of imagination when it comes to modern bathroom ideas? Don't panic, the VP team have compiled 26 doable modern bathroom ideas to help you achieve that dream space. Posted By Alan, 1st Aug 2018. 11 Minute Read. 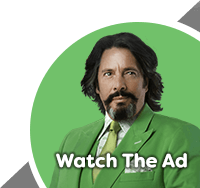 Let me guess, your current bathroom is looking drab and that’s putting it mildly. Even if your bathroom isn’t as bad as I suspect, the fact you’ve dropped by is a sign that it’s no longer ‘in style’ and you’re in need of some seriously modern bathroom ideas to bring it back to life. Our experts at Victorian Plumbing feel your pain. Nobody should have to put up with a bathroom that’s fallen victim to time and so we’ve pulled out all the stops and decided to compile the freshest, most contemporary, state-of-the-art, leading-edge (okay you get the point) list of modern ideas for your bathroom which are actually doable! 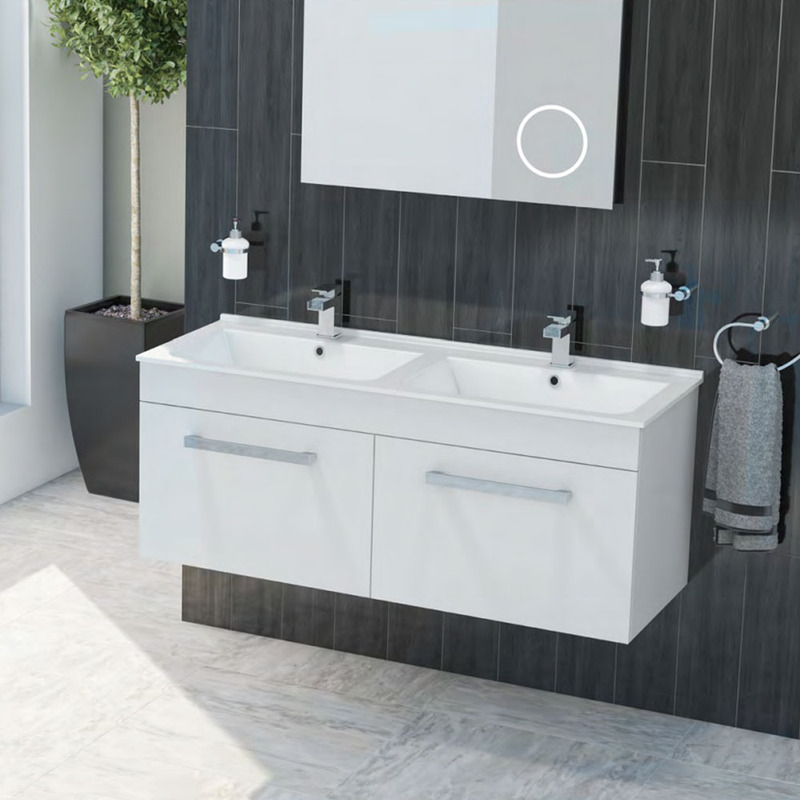 Having a combination of several key bathroom components in one beautiful unit is not only practical and more cost effective, but it’s also right on trend. 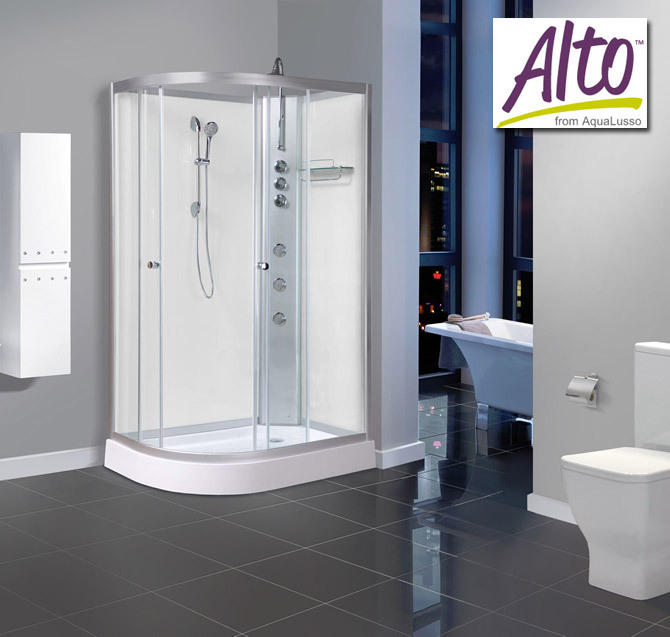 It’s not hard to see why so many people are choosing combination bathroom furniture for their contemporary bathrooms. 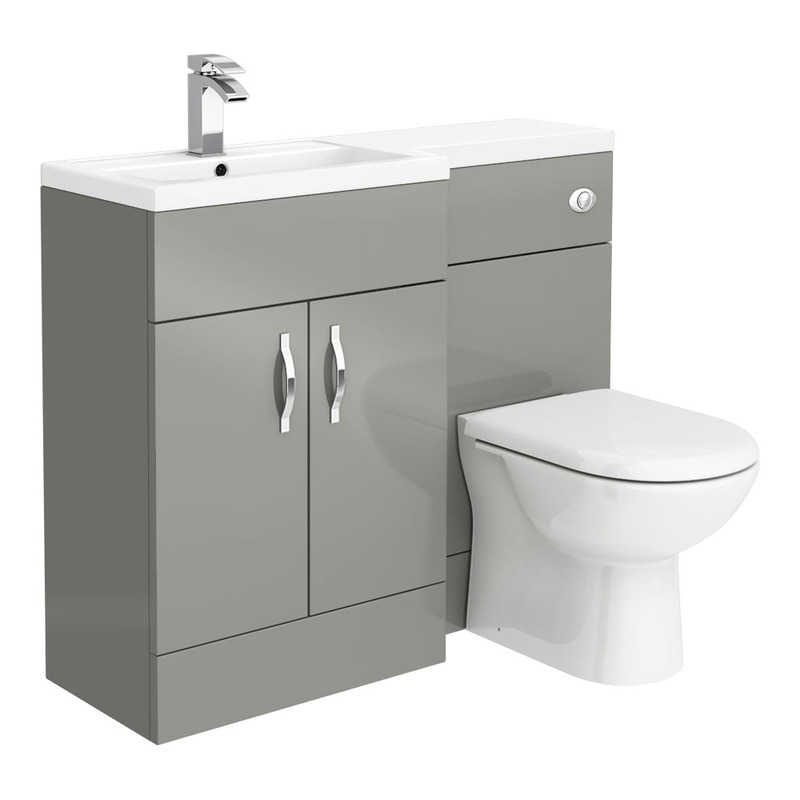 Made up of a toilet, vanity unit and basin, combination vanity units should be one of the first ideas you consider when planning or updating a modern bathroom. 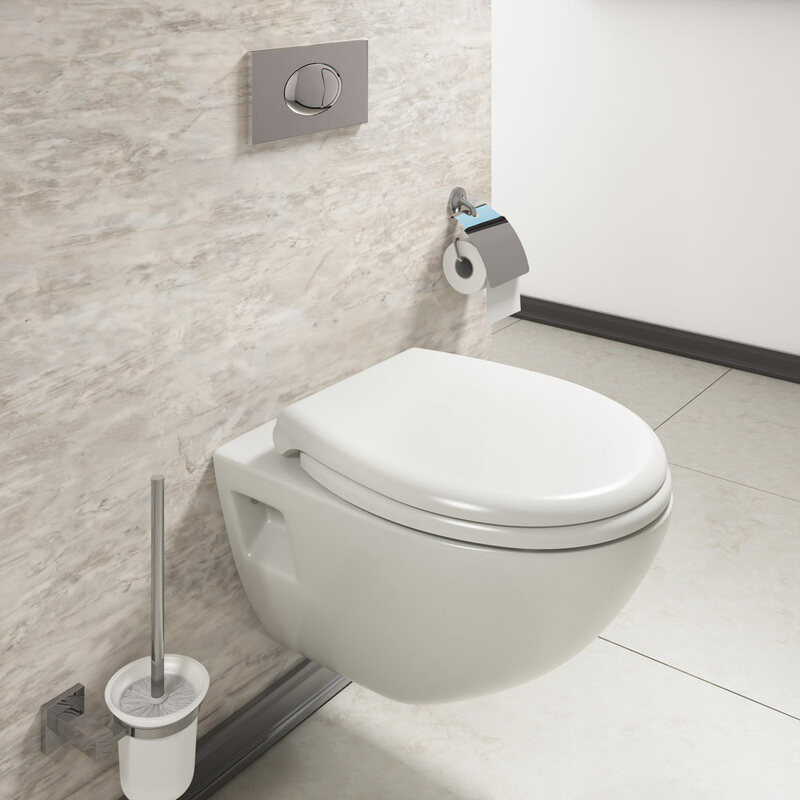 Modern toilets come in a variety of styles and designs, but one of the most popular styles are wall mounted toilets, also known as wall hung toilets. In a lot of modern bathrooms space is tight and having off the floor fixtures give a greater illusion of space. 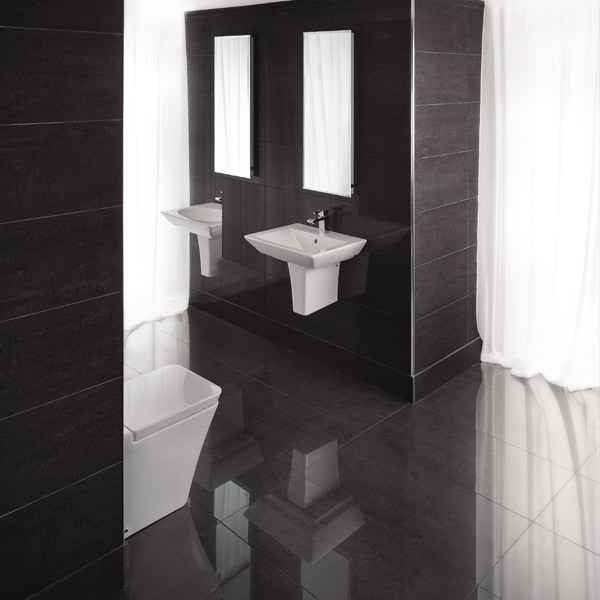 Wall hung toilets also look great in large contemporary settings making them the perfect all round choice. One modern bathroom idea that is increasing in popularity is the addition of counter top basins. Not only do they look stunning in situ, but they go hand in hand with wall mounted basin taps and high rise basin taps too. They come in a range of materials including ceramic, glass and marble as well as many more. 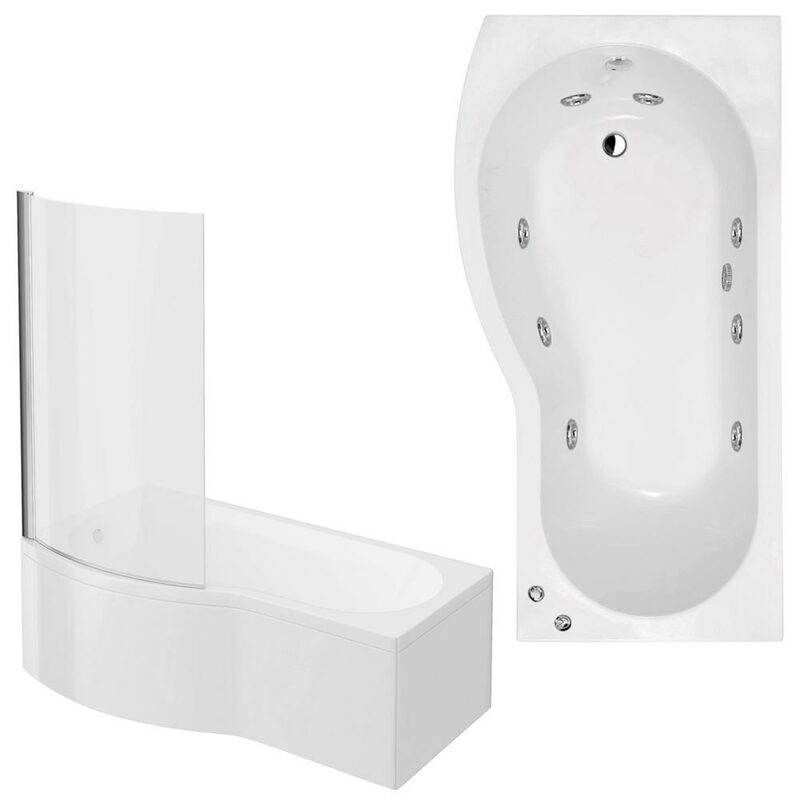 If the idea of a spa at home is bubbling away in your mind then look no further than a whirlpool bath. They feature lots of relaxing features to help you unwind including jacuzzi and massage options. What’s more, they look just like ordinary baths so if you want to keep your modern bathroom simple then they’re a sensible look. If you prefer to have a relaxing shower then consider a shower cabin or shower tower with massaging body jets. In any bathroom, good lighting is important and one way of improving bathroom lighting is adding mirrors. It means that a mirror with lighting is a win, win. 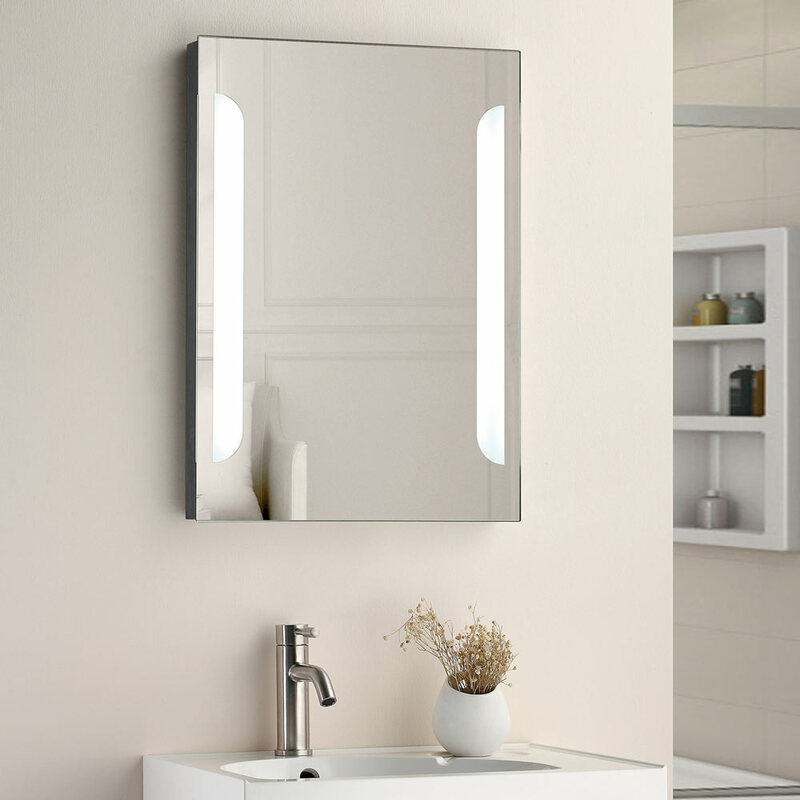 Illuminated bathroom mirrors come in a variety shapes and sizes and for added practicality and storage look for an illuminated bathroom mirror cabinet for a clever modern bathroom mirror idea. This brilliant modern bathroom idea is probably not suitable for every size of bathroom. It’s a real shame because double sink vanity units are one of the most stunning features in a bathroom. They look awesome in many finished especially high gloss and the added practicality of having two basins means they’re perfect for couples; reducing arguments over using the sink in a morning and at night. Most modern options come as contemporary wall mounted options which is perfect for adding style. If you don’t quite have the space you can still get a similar look with single wall hung vanity units. They’re an excellent modern bathroom vanity idea for helping make the most of smaller spaces. As we mentioned previously, there is no reason why any modern bathroom cannot bring with it a pampering spa experience. If you’re a big fan of showers, like me, you’ll absolutely love a luxurious shower cabin. They come equipped with a wide range of indulgent functionality including steam shower modes, rainfall shower heads and shower body jets for the ultimate experience. A modern bathroom needs at least one futuristic piece of kit. One thing you and your family will love is one of the latest electric showers by AQUAS. 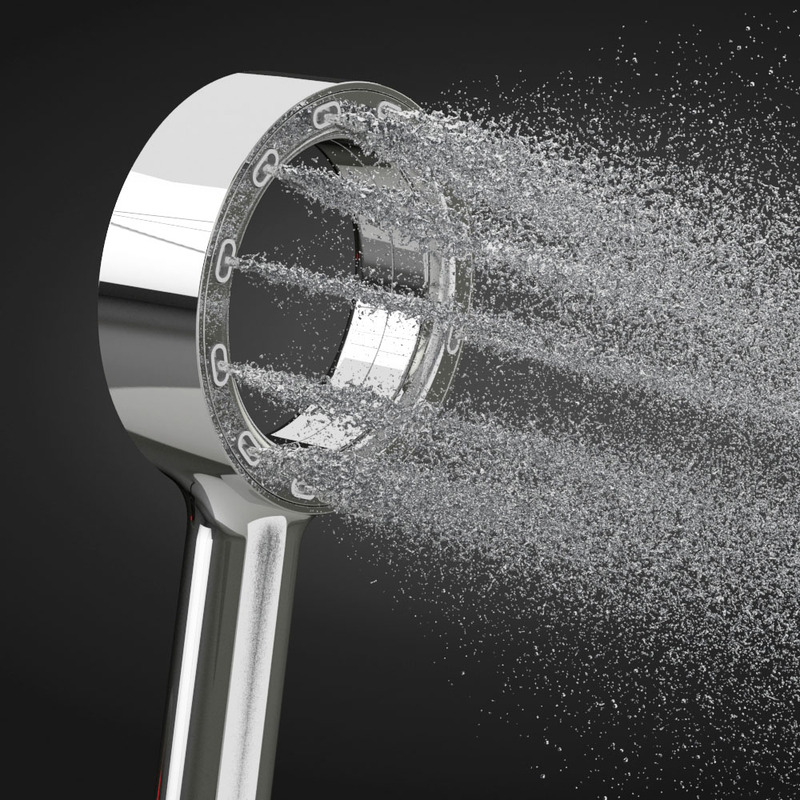 They have a revolutionary shower head which is designed to produce a spray like no other shower and they look so cool! If you prefer a good ol’ electric shower for your contemporary bathroom then there’s lots of options out there from a wide variety of brands. 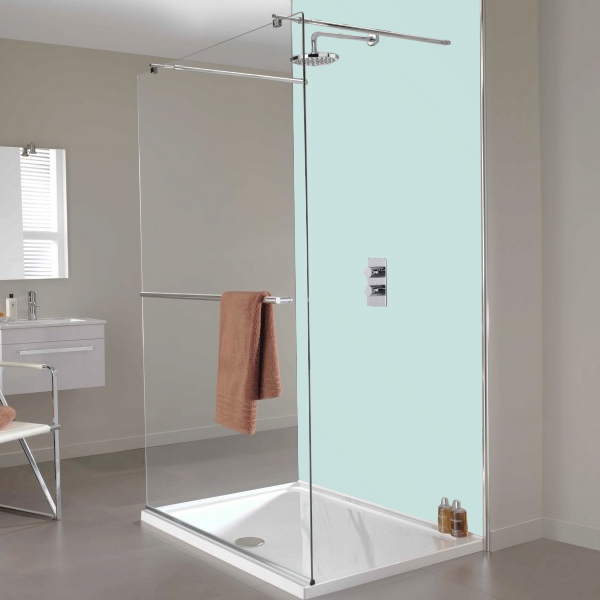 The functionality of an electric shower makes them a great idea for any modern bathroom. 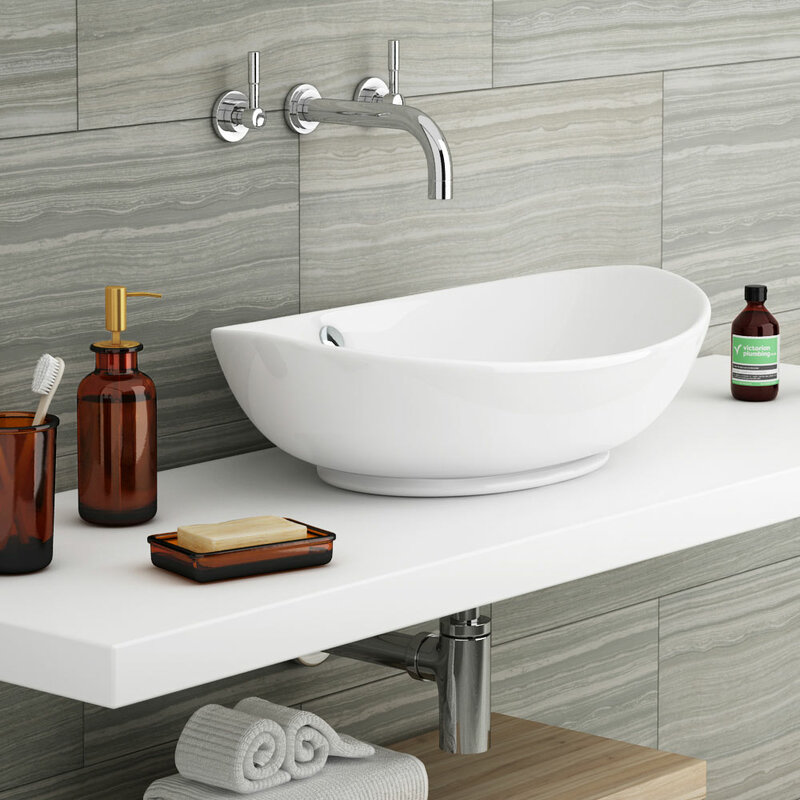 One of the most popular styles for modern bathrooms is simplicity. Keeping things simple, also known as minimalist, is a big trend that looks great. 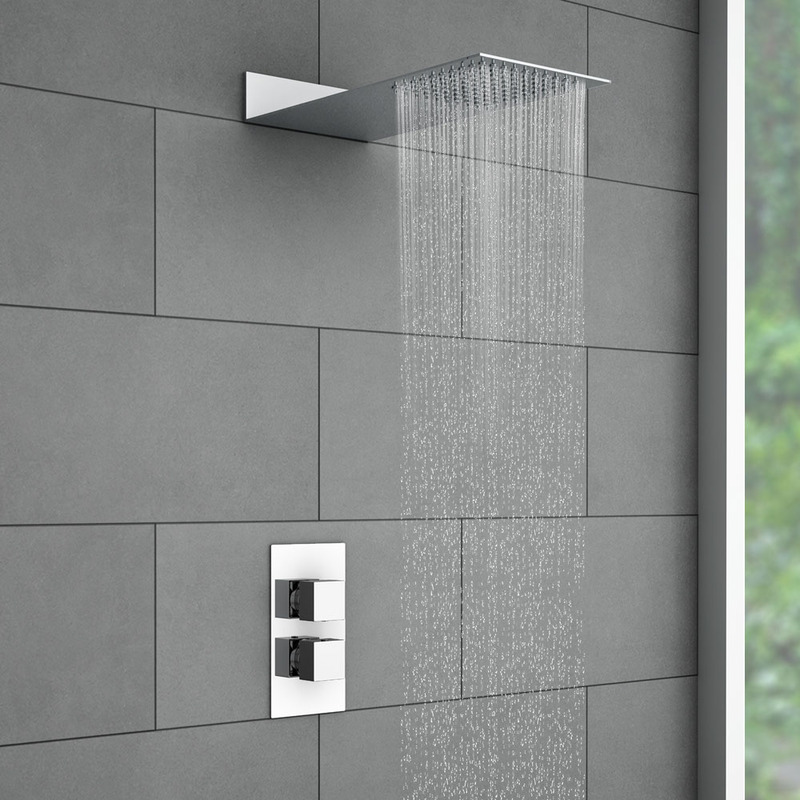 Getting that minimalist look is easy when you choose a flat fixed shower head. It’s important to have a concealed shower valve to complement your fixed shower head which will really give your modern bathroom a real wow factor! One of my favourite modern bathroom ideas is to install an offset quadrant shower enclosure. The thing I love the most, and many more people who choose them, is the area inside them. They’re incredibly spacious which makes them extremely comfortable (excellent for claustrophobic folk like me) and they fit right into corner spaces too! For bathrooms with less space to offer you can get a similar look, just with a slight reduction in space, by installing quadrant shower enclosures instead. The most used fixture in most bathrooms are the basin taps. Whether you’re planning a new bathroom or simply replacing some old taps, a great idea is to install a waterfall mono basin mixer tap. The gorgeous waterfall feature never gets old and the feeling is totally refreshing. The Glacier waterfall mono basin mixer tap (pictured above) has a closed top spout, but if you want to see the water coming from the spout itself then an open top spout is perfect for you. 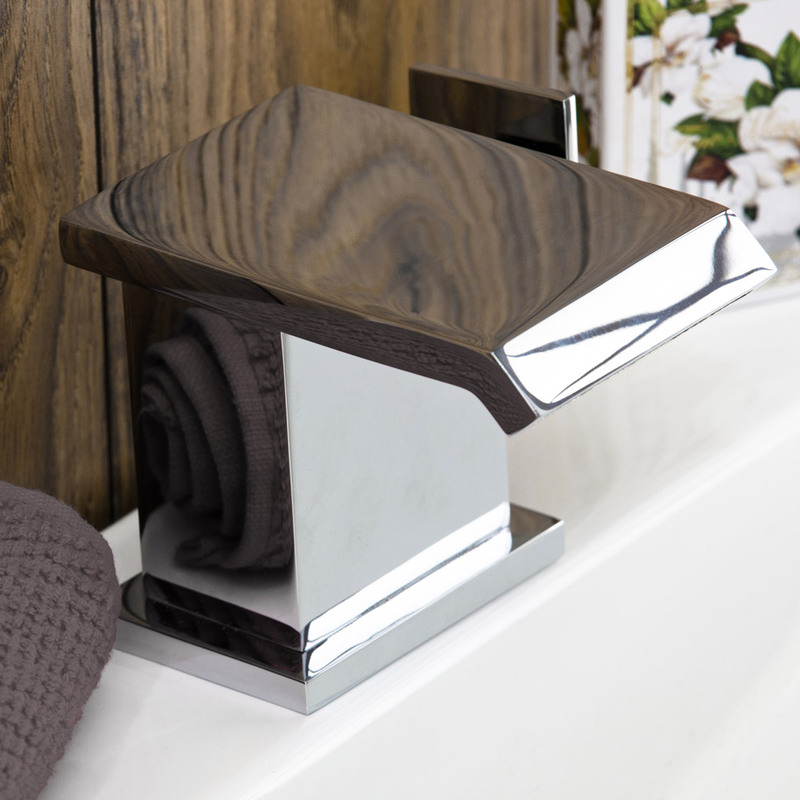 You can find a wide variety of both styles in our waterfall basin taps. 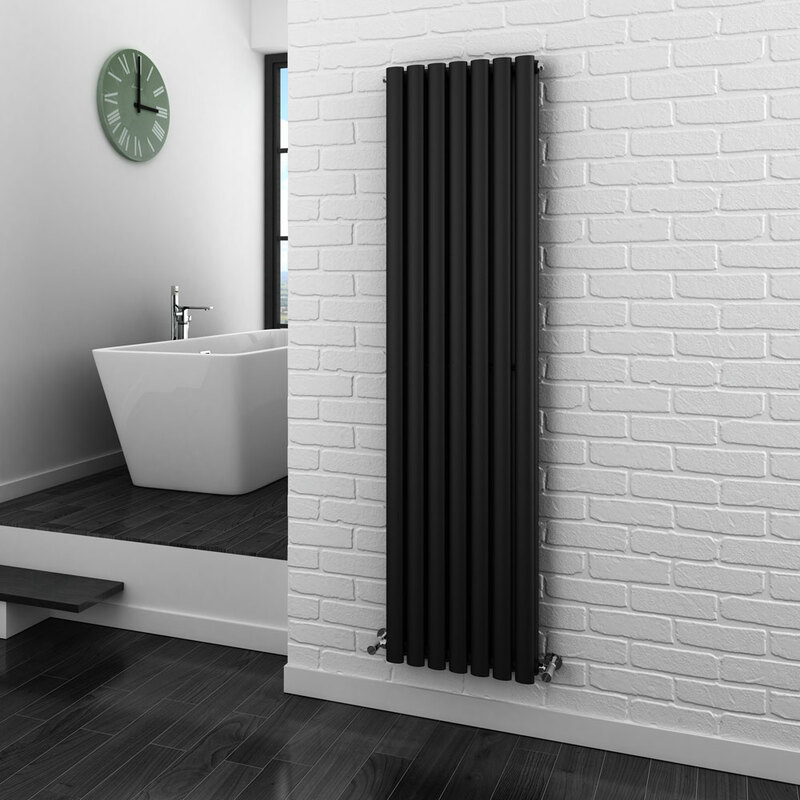 For a real contemporary designer look you should consider vertical panel radiators. Admittedly you’ll sacrifice practicality for style, but then it’s the same with anything isn’t it? 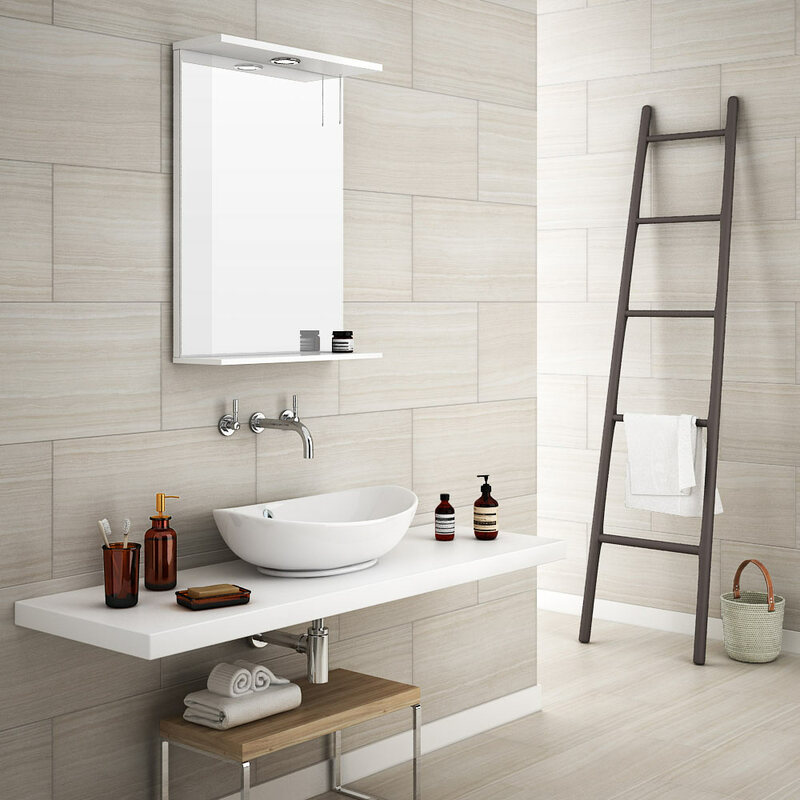 The high heat output of a vertical panel radiator is sure to keep your bathroom warm. Although it isn’t really possible to use it as a robe and towel dryer or warmer, like you can with a heated towel rail, there are hooks and hangers available to those who can’t live without that nifty feature. 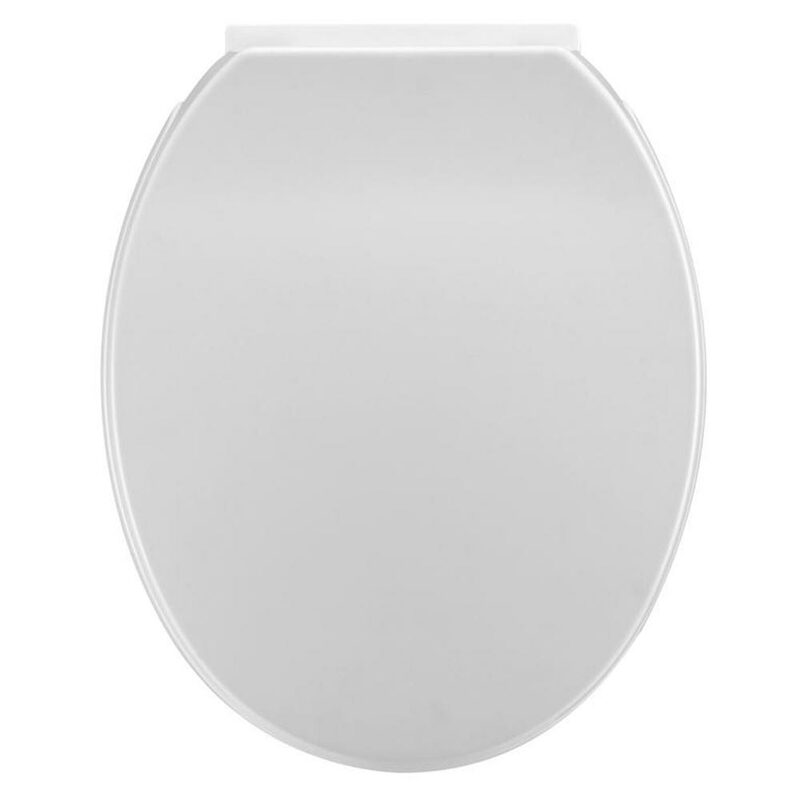 No modern bathroom is complete without a soft closing toilet seat. They’re designed to put an end to loud bangs when the toilet seat is dropped, but they also come in a range of stylish options. Just make sure you choose the correct soft close toilet seat for your loo. Take a look at this handy guide on choosing the best toilet seat for some help and inspiration. One particular modern bathroom idea which seems to have gone under the radar for quite some time is the use of shower wall panels. Over the last year or so their popularity has increased significantly and when you look at how great they look it isn’t hard to see why. Not only are they ideal for waterproofing wet areas such as a walk in shower, but a fantastic idea is to decorate the whole bathroom wall with them too. Hate cleaning? Keeping shower wall panels clean is a doddle and they make cleaning the bathroom so much easier! Whether you’re adding lighting to a modern bathroom or a traditional setting it’s an important feature for many reasons. When lighting a modern bathroom you have many more options in front of you, one of which is bathroom spotlights. 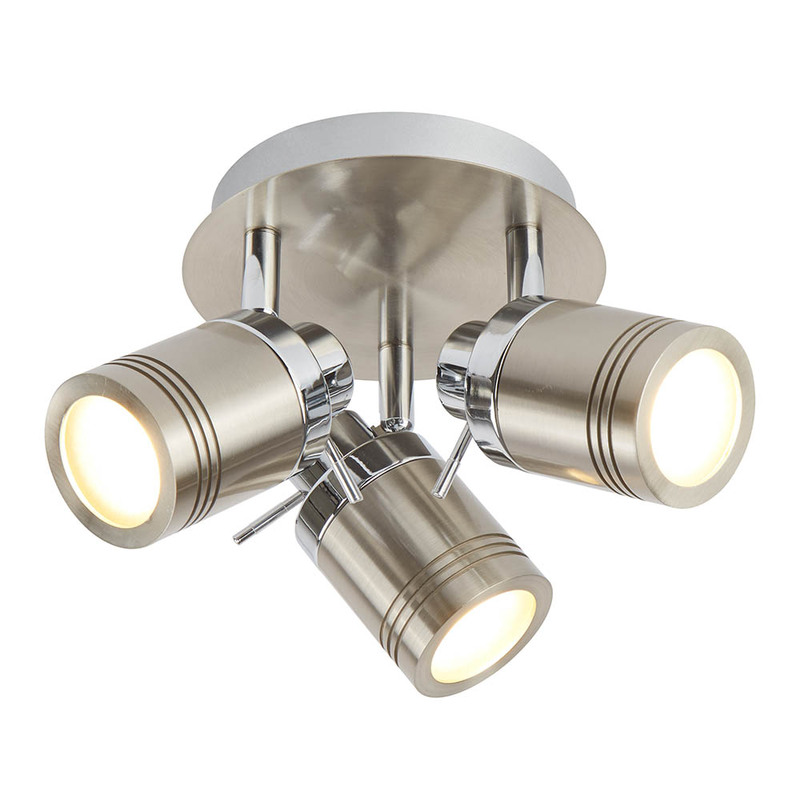 These ceiling lights allow you to alter the focus of the spotlight to ensure your bathroom is evenly lit and looking its best. An alternative modern bathroom lighting idea may be bathroom downlights which are fixed into the ceiling and offer an even distribution of light throughout. One slight difference is that once they’re installed they can’t be moved and therefore not as versatile as spotlights. One of the best ideas for creating a unique look in your bathroom is to include bathroom accessories. With so many to choose from you’re literally spoilt for choice. 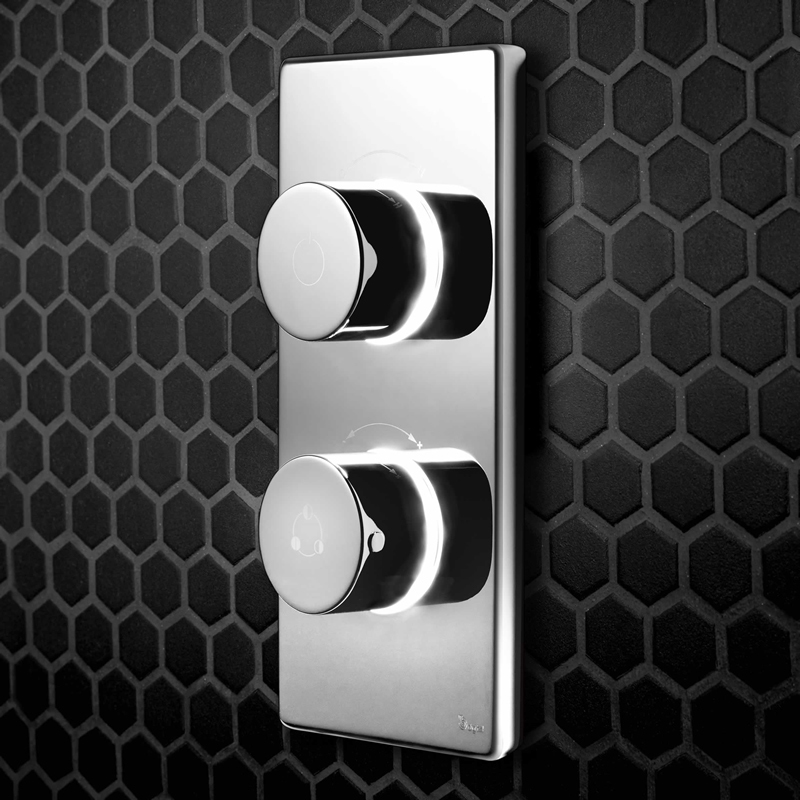 Modern bathrooms tend to appreciate chrome finishes especially for fixtures like toilet roll holders, toilet brush holders and robe hooks and hangers. 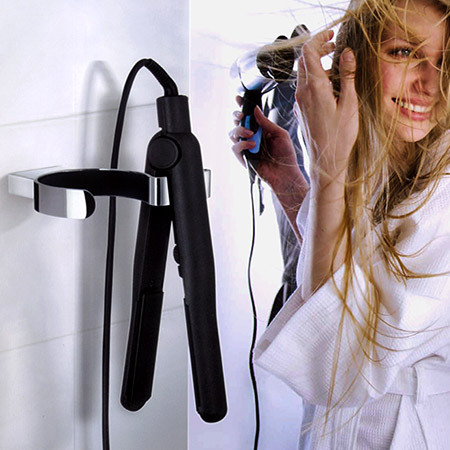 Ever struggle with finding a safe place for you straighteners? 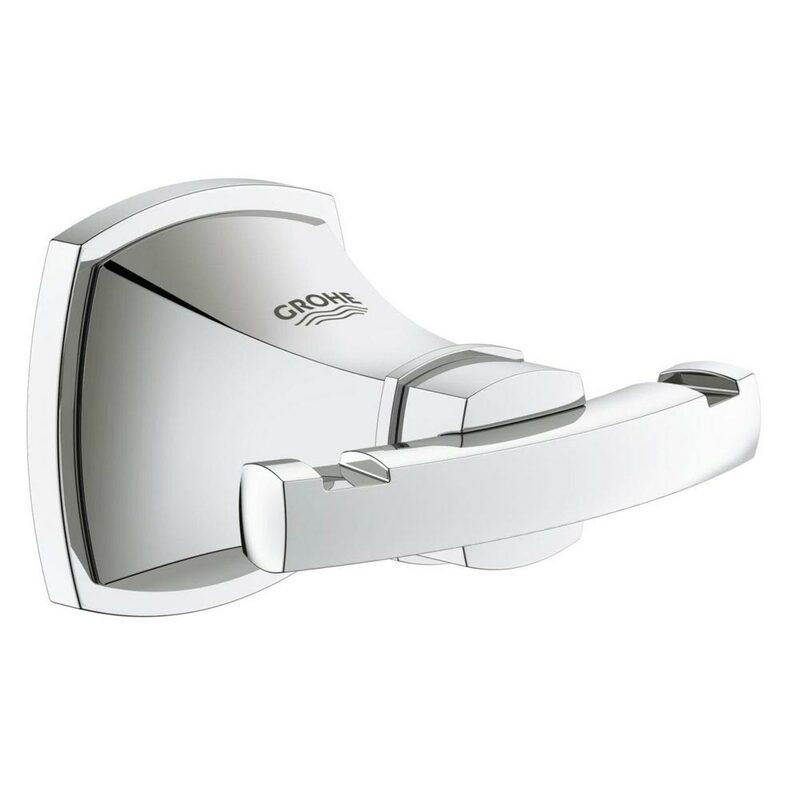 This stylish hairdryer and straighteners holder in polished chrome (pictured above) is a smart and stunning solution. Having tumblers, soap dishes and other basin accessories can be a great way of showing off a bit of your personality. They have quirky items for adding some of your humour and there’s luxurious accessories for when you want to make a statement. Having a place to hang your bathrobe doesn’t have to lack style. There are many styles of robe hooks around and choosing them is down to personal preference. Chrome finishes and minimalist style are a great idea for modern bathrooms. 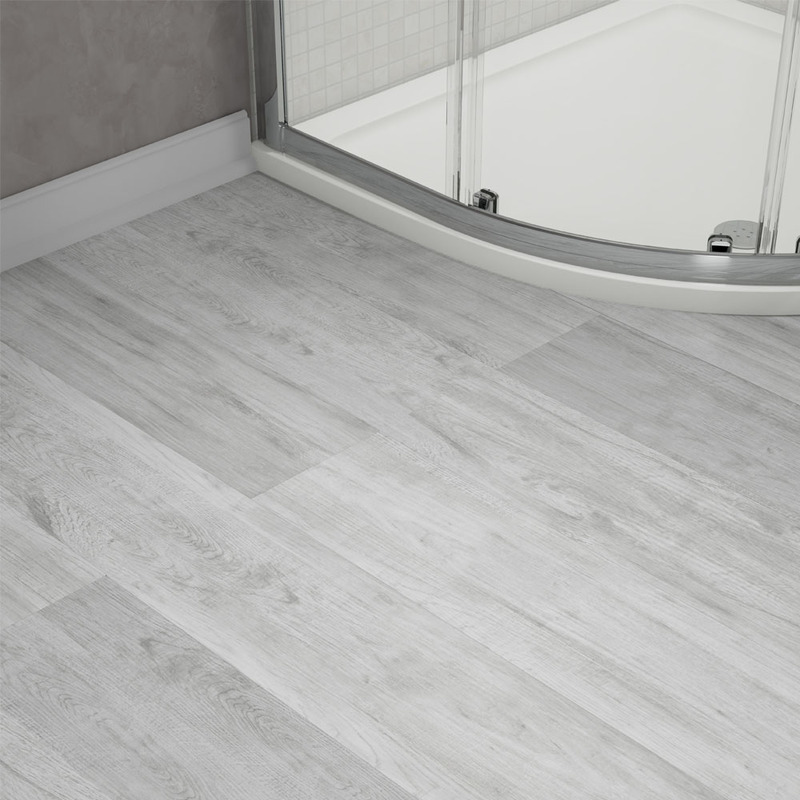 If you’re in need of some bathroom flooring inspiration then why not consider vinyl flooring? A great alternative to using tiles, you can find a wide variety of vinyl flooring styles which are made to look like tiles, wood flooring and more. It can also work out cheaper to buy and install and isn’t much work to remove should you want to change your vinyl flooring in the future. It makes vinyl flooring one of the best modern bathroom ideas on a budget. One of the most beautiful modern bathroom tile ideas is using textured tiles. They totally transform the look of any bathroom and give it a sense of luxury and grandeur. Wood effect tiles will add a new dimension to the look of your room. A light or neutral colour will open the floor space better than darker colours such as black. 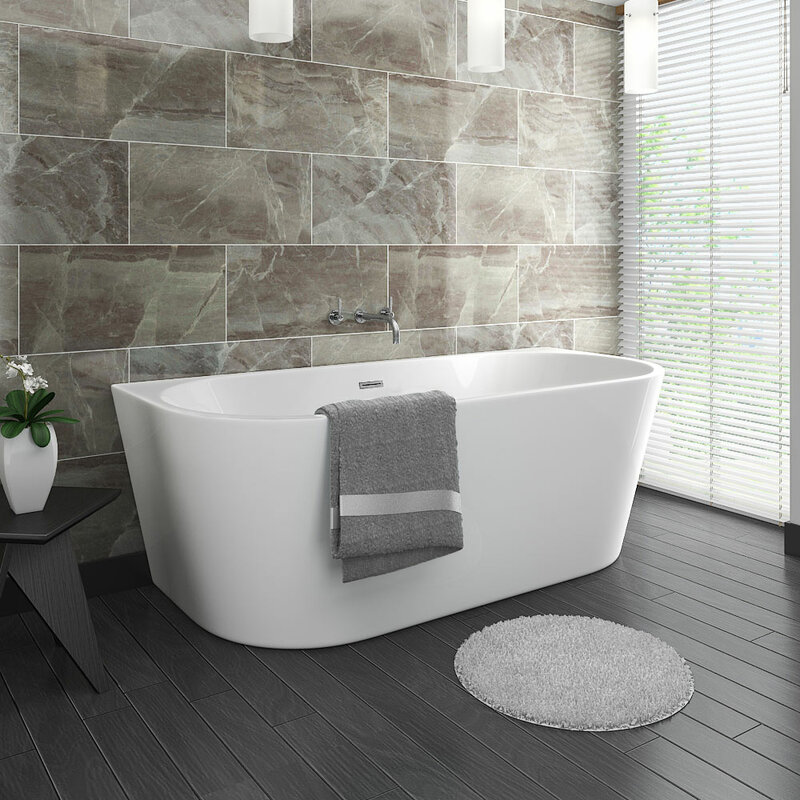 If your contemporary bathroom has the space for a freestanding bath then it’s certainly worth considering installing one. A lot of people forget about back to wall freestanding baths though, but there’s a good reason why one should be in your thoughts. 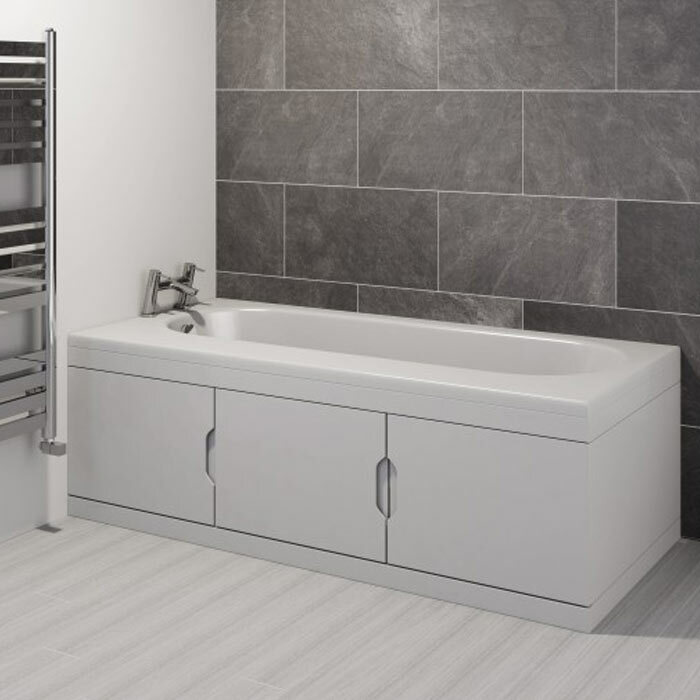 Where lots of freestanding baths tend to waste space, a back to wall option will utilise the space more effectively. You also have the option to use wall mounted bath taps. These stylish taps make for excellent bathroom features and can really impress. It means back to wall freestanding baths are a great modern bathroom idea for those aiming to do something a little bit different to the crowd. Neutral colours are a great colour scheme idea for modern bathrooms. They give the room a bright and airy feel and will offend very few tastes - if any. Green, white, beige and light grey are all popular choices, but for something a little different you could aim for light shades of yellow and pastel colours. There are loads of modern ideas for adding colour to bathrooms. From painting walls or adding colourful furniture, but one great way to add a unique look is to paint your tiles or furniture yourself. Take a look at our range of bathroom paint for more inspiration. Are you one of the very few who don’t like neutral tones? No problem, why not try black or very dark colours instead. Black, dark grey (also referred to as carbon) and deep purple colours are hugely popular right now, but some people don’t like to venture to the darkside. It’s risky choosing dark colours for modern bathroom decor ideas, but when done right it can really pay off! For the latest bathroom colours take a look at our 2018 bathroom colours article. This modern bathroom idea will take your bathroom from contemporary to futuristic with the touch of a digital dial. 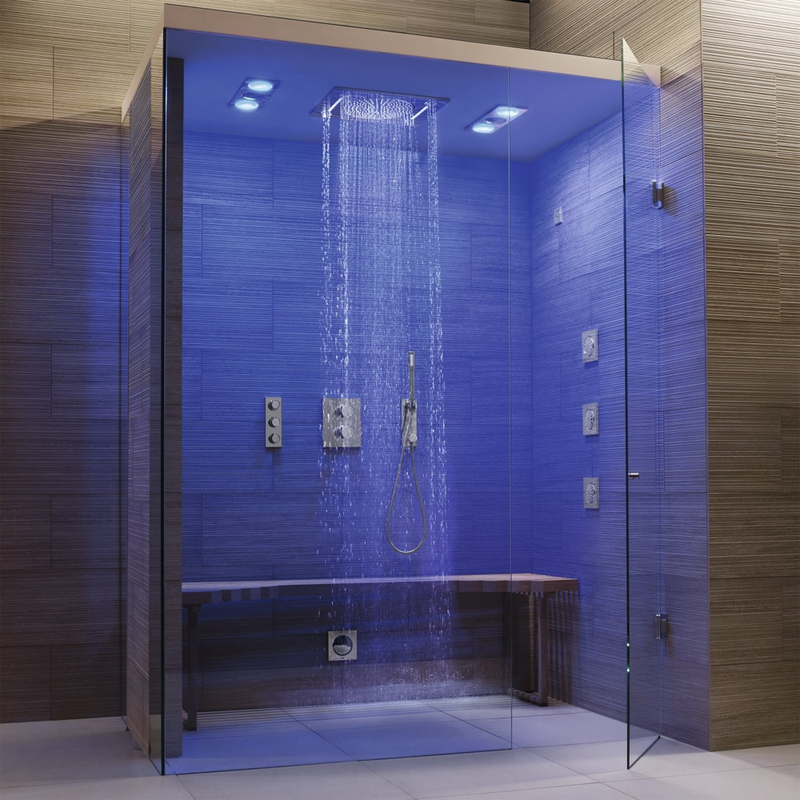 Digital showers are packed with new technology to help create the best shower experience to date. They come with lots of features including Cool-touch metal controls, colour-changing controls, precise water temperature and self-cleaning modes! Not only do they look ultra-modern, but they are ultra-modern and will certainly have your guests talking! Not sure which textures to use in a modern bathroom? Here’s a few great ideas to get you started. A lot of people love the natural look so rustic flavours such as wood effect, stone effect and marble are really dominating the bathroom world. A polished chrome finish is the perfect, sensible idea for anybody unsure of what they want in their contemporary space. If you really want something that will stand out in a modern bathroom then fixtures with a gloss or high gloss finish will always create a striking look. 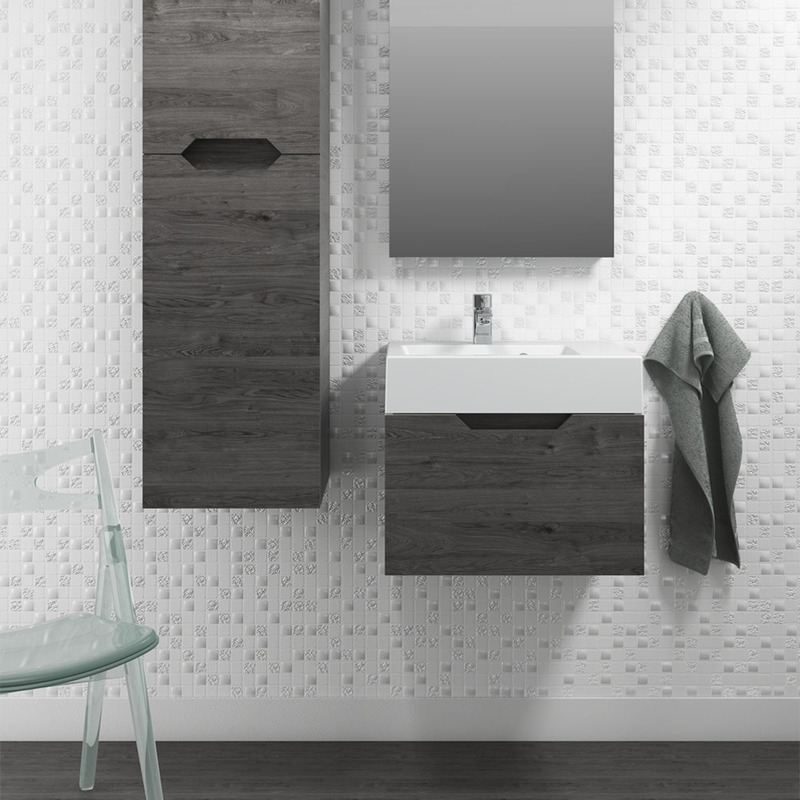 Another great benefit to planning a modern bathroom is the many storage ideas you can take advantage of. There is storage for almost every part of the bathroom including bath panel storage (pictured above). This bath with panel storage is such a great idea because it uses space that would otherwise be wasted. If you’re in need of some inspiration when it comes to keeping the place tidy then take a look at these clever bathroom storage ideas. It doesn’t matter if you have a big bathroom or a small bathroom, storing away essentials keeps things out of reach of younger children and helps keep the place tidy. If you’re in need of some small modern bathroom ideas then we’ve loads of ideas right here. Standard baths can sometimes suffer from a lack of style. They’re designed with purpose in mind and as long as you can enjoy a hot, relaxing bath that’s the main thing. What’s great about modern bathrooms is that they allow you to add a little style if you want to with a one piece bath panel. (pictured above). These one piece panels create a clean finish which is seamless, giving your bathroom that smooth, minimalist look that is so trendy right now. Another bath panel idea which is ultra cool and perfect for contemporary bathrooms is this Hudson Reed high gloss bath panel. It helps create a totally modern finish and would complement high gloss finish bathroom furniture which we mentioned earlier. Another modern shower idea for the bathroom is rainfall ceiling shower heads. Fixed in the ceiling themselves, hence the name, their large surface area creates a huge rainfall effect which makes you feel like showering in the rain. The only difference is, you can choose the temperature of this luxurious storm! The option pictured above from Grohe features a variety of spray patterns to ensure you enjoy every drop that hits your skin! For more shower inspiration why not check out these shower ideas that our experts recently put together? We really hope that you enjoyed reading our latest article and have taken some inspiration from these modern bathroom ideas. If you have any suggestions then please feel free to let us know about them and if you’d like to see more modern bathroom ideas then check out our bathroom ideas page. If you found this article useful then feel free to share it with somebody who may also find it helpful to them.